Wayne E. Hoover, 82, of Bascom, passed away Saturday afternoon, April 28, 2018. He was born Nov. 20, 1935, in Bascom, to Daryl E. and Viola C. (Scherger) Hoover. He married his high school sweetheart and love of his life, Mary J. Kelbley Feb. 5, 1955, and she preceded him in death June 5, 2003. He married Mary Ellen (Podach) Kessler July 8, 2006, and she survives. He also is survived by his five daughters, Mary Ann Clarke, Kathy (Mike) Nye, Jane (Gene) Smith, Karen (Craig) Lang and Linda (John) Smith; two sons, David (Betty) Hoover and Stephen (Stacy) Hoover; 15 grandchildren; 16 great-grandchildren; eight stepchildren; and a very special niece and caregiver, Mary Sparks. He also was preceded in death by his parents; a son, Michael Hoover Sept. 6, 2006; and a brother, Eugene Hoover. 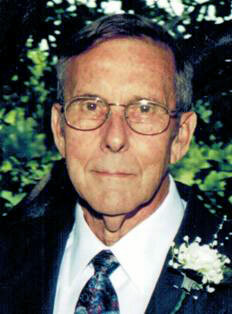 Wayne was a 1953 graduate of Hopewell-Loudon School and 1958 graduate of Heidelberg College. He taught at Lakota and Hopewell-Loudon schools and was one of the original developers of Seneca Hills Golf Course in 1965, where he was involved in the construction and operation until 1973. Wayne served as the Hopewell Township fiscal officer for 24 years, served as the manager of Meadowbrook Park in Bascom, was involved in the transfer of the park ownership to Hopewell Township, the swimming pool renovation and many park projects. He was active in the Democratic Party and served as chairman of both the central and executive committees of Seneca County. Wayne served as an administrative assistant under State Auditor Thomas Ferguson, was a member and chairman of the Seneca County Board of Elections and a member of Hopewell Loudon and Vanguard Sentinel boards of education. Mr. Hoover and his wife, Mary Jane, owned and operated a tax service for 25 years in Bascom. Wayne loved to golf, travel, do daily crossword puzzles, winter in Texas and was a member of St. Patrick’s Church. His Mass of Christian burial will begin at 10 a.m. Saturday, May 5, 2018, at SS Patrick & Andrew Catholic Church with the Rev. Timothy Kummerer. A rosary will be prayed 20 minutes prior to Mass. Burial will be in St. Patrick Catholic Cemetery. Memorial contributions may be made to Meadowbrook Park. Condolences may be sent and guestbook signed at www.hgmackfuneralhome.com.